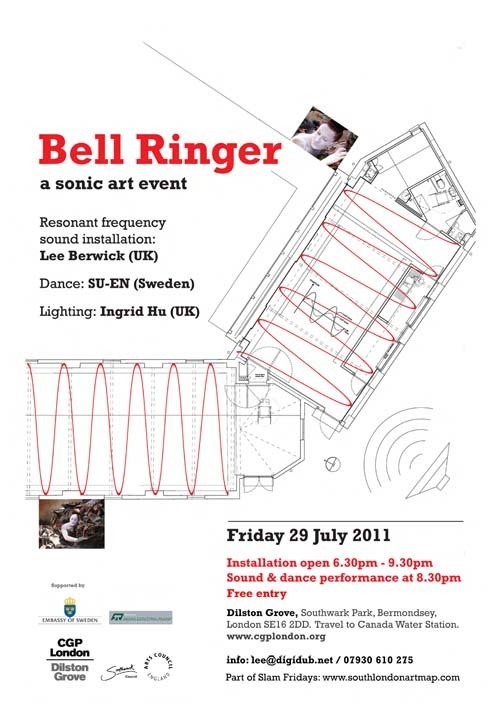 Conceived by sound artist Lee Berwick, Bell Ringer uses the resonant frequencies of Dilston Grove to create a live soundtrack with improvised dance performance and light installation. 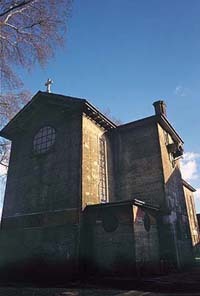 Dilston Grove is the former Clare College Mission Church on the Southwest corner of Southwark Park. Designed by architects Sir John Simpson and Maxwell Ayrton, it was built in 1911 and is one of the earliest examples of poured concrete construction. 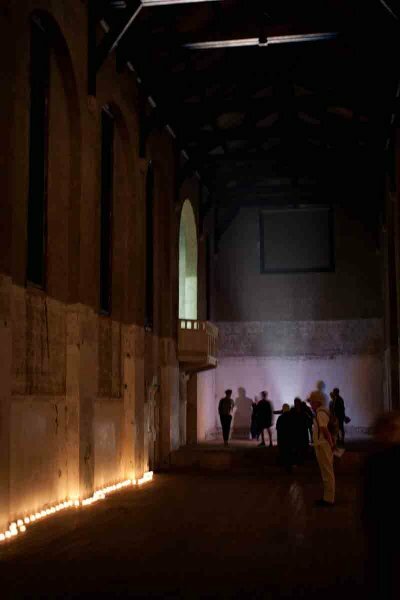 Resonant frequencies measuring the length, width, and height of the building’s plain interior create a sonic environment with varying intensities that can be experienced by moving around the space. 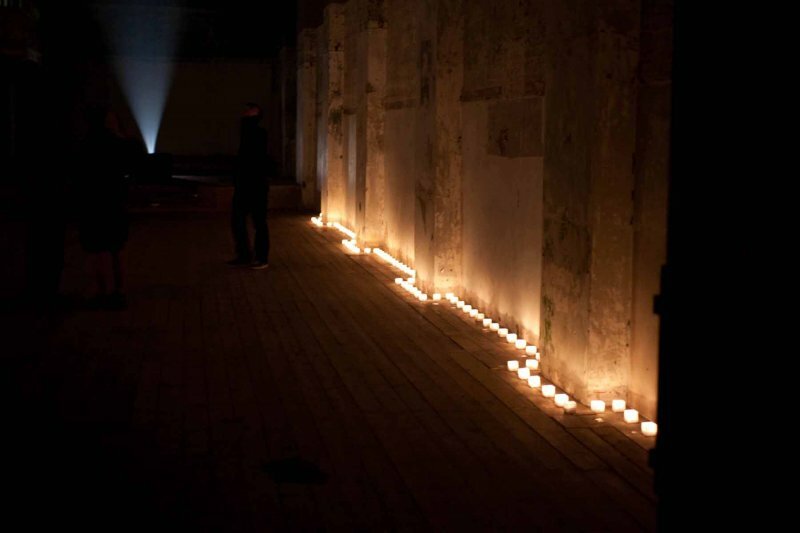 The dancer improvises within this acoustic stage, with its floor outlined by candlelight glowing along the walls. 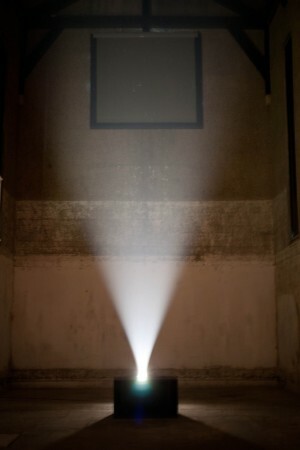 Following the geometry of the soundscape, the performance is lit by a simple set up of two spotlights, one beaming horizontally across the nave, the other upward towards the roof.